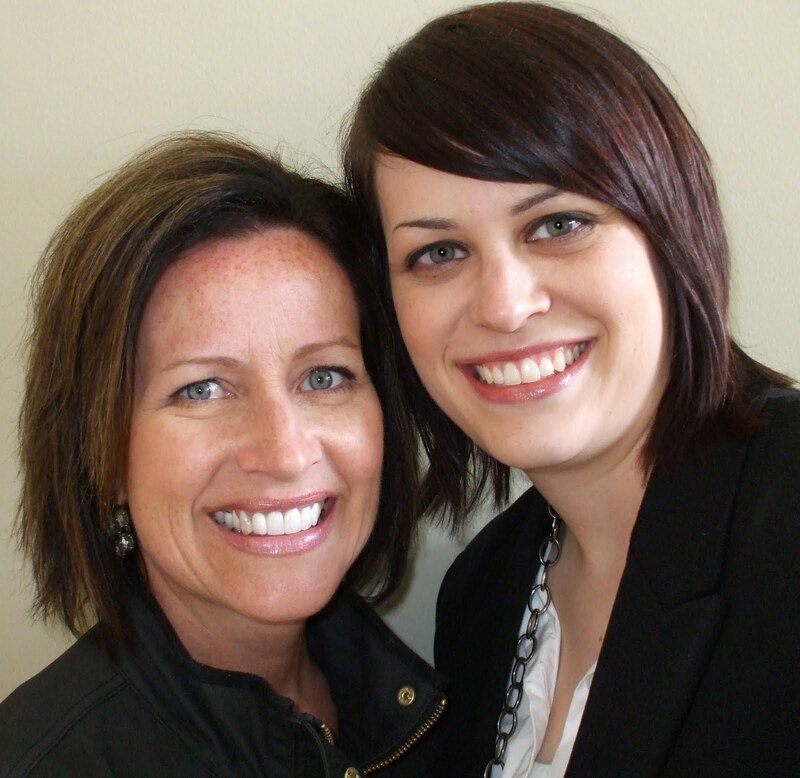 Janeen and her daughter, Tia, provide personal experiences and tools to guide you in working to save your marriage, improve your relationship, and become a more positive person. Today's question came to us through email: "On the 5-CD Set you guys talk about not gossiping about marriage problems to a lot of people. I, unfortunately, have discussed my marriage issues with a lot of friends over the past year and now I constantly have people asking me questions and wanting to find out new details. How do I correct this?" This is a topic we thought a lot of people might be struggling with. It is SO important to keep your conversations about your marriage problems between yourself and your spouse because that keeps your communication open. When you start involving other people it's really easy for your friends to take your side making it difficult for you to see changes you might need to make. If you need some outside advice, choose ONE very loyal, very mature friend that will give it to you straight. As for your other friends, put your foot down. Just say, "I'm really working on fixing the problems in my marriage and that means only discussing them with my spouse. It doesn't help to gossip about them, so please respect my choice." If your friend only wants to talk about the negative, maybe they weren't really a true friend to begin with. Thank you for your questions! You can get them to us through email, facebook, twitter, or this blog! No matter what age your kids are, if they know about the possibility of divorce between you and your spouse, talk openly with them about how they are feeling. They are going to be greatly affected by this decision either way and they deserve a chance to give their input. If your kids are small or don't know that you have been discussing divorce, just talk openly about how they are feeling in general. Ask how they feel about the family right now, whether or not they are happy with the way things are. Children are very intuitive and probably know a lot more about the situation than you think they do. Keep them high on the priority list! To start your 30-Day Challenge go to saveyourmarriagein30.com and click "Videos". See you for Q&A Friday! No matter what you are celebrating this time of year we hope you are having a wonderful holiday season! Since we're in the middle of the holidays we don't really have "Breaking News" this week, but we wanted to take this opportunity to say thanks. Thank you to those who have been so supportive this year as we have launched this project. Anyone who has tried to start your own business knows the difficulties that can arise in the process, but we have been blessed with great opportunities: TV appearances, book signings, and most importantly, supportive people who have really taken an interest in us. 2012 is going to be a wonderful year and we hope to help many, many people save their marriages, improve their relationships, and improve themselves! Thank you and see you on Challenge Wednesday! Merry Christmas to everyone from Save Your Marriage in 30! 2012 is going to be a super exciting year and we can't wait to announce what we have planned! Sound too simple? You would be surprised how little your spouse may know about what's really bothering you. And there also may be some things you don't know that you need to change. You may think the problems should be obvious and maybe you and your spouse have discussed it a million times, but HOW did you say it? Take a drive or sit down in a quiet place. STAY CALM. STAY FOCUSED. Without accusing each other, discuss what changes need to be made. Get it all out on the table. If you approach this conversation from a loving place, you may just get somewhere. To start your 30-Day Challenge go to saveyourmarriagein30.com and click "Videos". You will also find a more detailed version in Janeen's new book "Save Your Marriage in 30"! First of all, thank you to everyone who stopped by for the book signing on Saturday at the University Mall! We loved seeing all of you and had a great time! You will have another opportunity to attend a book signing in January. We are now offering great deals on our website saveyourmarriagein30.com. Not only can you buy the newly released "Save Your Marriage in 30" by Janeen Diamond, you can get a package deal with the book and CD-Set for as little as $44.99! Just to clarify, the CD-Set is NOT an audiobook. Both the book and the CD-Set cover the 30-Day Challenge, but each has its own unique segments and chapters. Visit the website to order yours now! See you on Challenge Wednesday! Welcome to Challenge Wednesday! Today we're focusing on Day 17 of the 30-Day Challenge. This day is a difficult one that requires you to really take a hard look at yourself and your reasons for contemplating divorce. Day 17: Answer the question: "Am I being selfish?" Like a lot of things, writing your answer down will help you organize your thoughts. Are you considering the well-being of everyone that will be affected by your divorce? Are you truly willing to work hard at saving your marriage and doing everything possible to keep it together? 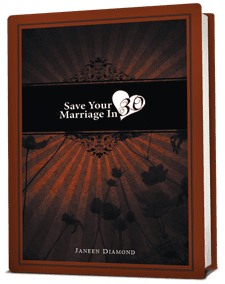 Visit our website saveyourmarriagein30.com to start your 30-day Challenge and get your own copy of Save Your Marriage in 30 by Janeen Diamond which gives even more insight into each day of the challenge as well as other helpful exercises. Welcome to another week! We have one very important piece of news today... We have another book signing this Saturday (12-17-11)! -Location: University Mall in Orem, UT right in front of Aeropostale. -Address: 575 E. University Parkway. We had a great time at our very first book signing last week at Janeen's home and we expect to see even more of you this weekend! 2. The book (paperback and hardcover) as well as the CD-set are offered at a discounted price! And remember to get your questions in for Q&A Friday! Just email us or message us on Facebook. Happy Friday everyone! We don't have a video today, but the question we'll be looking at has to do with the subject of our last post. "Is Janeen planning on doing any book signings in other states? I've been working on the free challenge on the website and am planning on buying the book. I'd like to do it at a book signing if I can! Thanks!" Great question! We're happy to see that Save Your Marriage in 30 is spreading and helping people! Our next book signing will be at the University Mall in Orem, UT on December 17th. We are also working on the final details for a one-hour workshop + book signing at Utah Valley University sometime in January. We hope as many people can get there as possible! As for other states, the best thing you can do is tell people about the book and the program! Send them to saveyourmarriagein30.com so they can start their free 30-Day Challenge. The more people we have in an area wanting a book signing the more possible it is! Thank you for your question! We'll see you on Breaking News Monday! Today's Challenge Wednesday is being replaced by a big announcement! Save Your Marriage in 30 by Janeen Diamond is now available! You can order it through our website saveyourmarriagein30.com or attend one of our book signings so we can meet you! The video below explains where our first book signing will be and there are many more to follow! Also, we have a brand new website! So visit saveyourmarriagein30.com and check out the new layout! Hey everyone! Sorry we're a day late, but here is the new Q&A video for you to check out! Enjoy! And remember to email, facebook, or twitter your questions! Happy Friday everyone! We don't have a video to post today, but are still going to answer a question. This question came to us through Facebook: "I have been working through the 30-Day Challenge on the website, but each task is taking me longer than a day. Is it best to complete this in a month or can I take longer?" Great question! This is something that has been brought up to us multiple times and the answer is: TAKE AS MUCH TIME AS YOU NEED! It is not necessary to complete one task everyday. Some of the tasks are difficult and will require a few days to complete. The purpose of the exercise is to challenge you to take a deep look at yourself and your relationship when contemplating a divorce. Don't rush the process! You can find the 30-Day... or should we say 30-Step Challenge, at saveyourmarriagein30.com. And remember, you can send us questions for Q&A Friday anytime through our email, Twitter, or Facebook. Happy Wednesday everyone! Sorry to leave you without a Breaking News Monday this week. Hope everyone had a great and safe Halloween! If you're considering divorce take some time to make a thoughtful, thorough list of pros and cons of your life without your marriage. Be honest with yourself and ponder what you came up with. You may have thought of all of these things a million times, but writing it down and thinking about it again can make a big difference in your decision. You can find the video for Day 20 and the rest of the FREE 30-Day Challenge at saveyourmarriagein30.com! Happy Friday! Our new Q&A video is coming to you from Disneyland! So enjoy and go to our saveyourmarriagein30 YouTube Channel to catch up on our other Q&A videos! There is nothing that can help your relationship like staying positive. Pick a friend that you completely trust and get together. Go to lunch, get a coffee, or take a drive and talk about your marriage. The only rule is you can only talk about the good stuff! If you start to stray into negative territory it's your friend's job to pull you back. This will remind you of all the great things in your relationship. Good luck! It's time for Breaking News Monday! There are not a lot of new updates this week because we were on vacation last week. Here are a few reminders. Watch for some great Breaking News next time because we are back in the offices and working hard! 1. 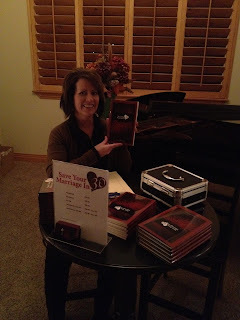 Book Release - Janeen's book "Save Your Marriage in 30" is almost ready to make its debut! We are meeting with some exciting venues this week to bring you an awesome book release/signing party! We'll let you know as soon as all of the details are worked out. 2. Stay Connected - Remember to join us on Facebook, Twitter, and subscribe to this blog. To find our pages look to the right on this page in the box that says "SYMin30 Links". That's the best way to stay on top of announcements, deals, and giveaways! 3. We Are Listening - We want to hear from you! Please always feel free to go to our website saveyourmarriagein30.com and email us any questions or comments. We want to know how your 30-Day Challenge is going! Alright everyone, have a wonderful Monday and we'll see you on Challenge Wednesday! Welcome to Challenge Wednesday! We're going to focus on Day 2 of the 30-Day Challenge. You can find the video at saveyourmarriagein30.com as well as the rest of the videos for the challenge. Sit down and think of all the positives in your marriage and write them out. You can't just think about them, you actually have to write them down. Sometimes we're so focused on the bad things we forget about all of the good in our relationships. Making this list will help you appreciate your marriage again and put you in a better mood. It's all about staying positive! A quick note: It's called the 30-Day Challenge, but it may take longer. Some of the tasks are very difficult and you may end up spending a few days on just one. Make it work for you! Take the time that you need to really work hard and give your marriage a chance. Welcome to our first Breaking News Monday! Every Monday we will provide you with breaking news from the offices of Save Your Marriage in 30. It will keep you up to date on any new announcements, projects, promotions, etc. 1. 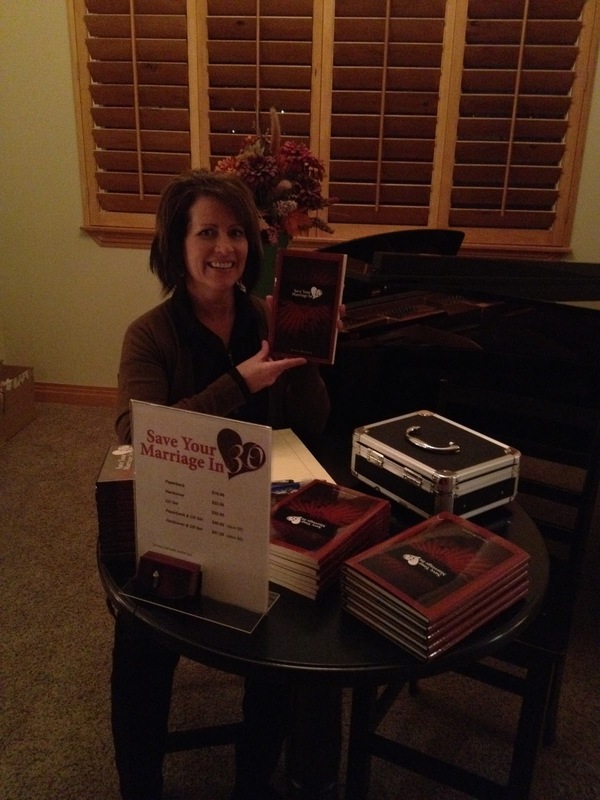 Book Release - Janeen's book "Save Your Marriage in 30" will be available to you within the next month! We will have a book release/signing party that everyone is invited to, so watch for our party announcement! 2. 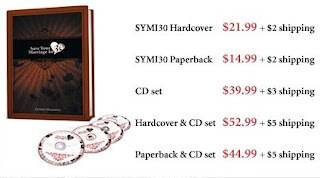 $59 Promotion - We are still running our $59 + no shipping promotion on the 5-CD Set! Just visit saveyourmarriagein30.com to take advantage of this deal! Remember, even if you're not going through a divorce there is a lot of helpful information for improving your relationship. 3. Seminars - Last weekend we spent some time scouting out great locations for our upcoming seminars. These seminars will be on a variety of topics, such as improving your relationship, saving your marriage, life after divorce, etc. Keep checking back for exciting announcements when we get the seminars rolling soon! -This will include any new announcements from SYMin30 so you can stay up to date! -We will focus on one part of the 30-Day Challenge or other programs that are upcoming and discuss the importance and any additional tips. -We'll post our Q&A Video and answer other questions that we aren't able to get to during filming that week. Also, if we are unable to post a video we will still be able to answer all of your questions! It's Friday!! Time to start your 30 Day Challenge! It's Friday and you have the whole weekend to start working on your free 30-Day Challenge at saveyourmarriagein30.com! If you are considering divorce, please take the time to just look at the videos on our website. Even if you just want to improve your marriage or relationships there is a lot of great, helpful information in the challenge. More importantly, if you are already doing the 30-Day Challenge, we want to hear from you! Please email us your thoughts at saveyourmarriagein30@gmail.com! We want to hear what's working for you! Here is our new Q&A video! Enjoy! Click on the link below! This video we answer the questions: "What is the difference between the 30 Day Challenge and the 5-CD Set?" and "I'm not married, but would like to improve my relationship. Would the 30 Day Challenge help me?" SYMin30 on Good Things Utah! Tell us what you think! And remember to join us on Facebook and Twitter! We just posted a new Q&A video where Janeen and Tia answer the questions, "What is your favorite Day of the 30-Day Challenge?" and the very blunt "Why should I listen to you?" Both great questions with great answers! Check it out now on our YouTube channel here: http://bit.ly/pHXIbC and subscribe while you're there! Hey everyone! We just posted a new video on our YouTube Channel about Q&A's! Watch it here http://bit.ly/nYfIMc and subscribe to our channel, or just scroll down and watch below. As you'll see from the video, we think we're hilarious... But we are... Can't wait to hear your questions! We were asked the question: "Who is your program for?" There is the obvious group: those considering divorce and looking to save their marriage. What you may not realize is so many more people can benefit from the 30 Day Challenge and especially the 5 CD Set being offered on our website: www.saveyourmarriagein30.com. The program, even if not every video applies to you, has a lot of advice and tasks that can help improve ANY relationship! Let's be realistic. Every relationship can improve, so why not take the time to look at something that may make yours better? On the 5 CD Set the 30 Day Challenge is expanded to include more thoughts and personal experiences that can help any relationship. It includes Janeen's "10 Steps To Emotional Health", "Begin To Improve in 30", and "Ten Reasons To Keep It Together". It also includes Tia's "30 Ways To Love Your Husband" and her husband Jake's "30 Ways To Love Your Wife" as well as Tia speaking through the perspective of being a child of divorce. It is beneficial for a lot of people so even if you're not considering divorce, take a look! You never know what you might find that can improve your life. There are also many new topics in the works about improving relationships in general, improving yourself through positivity, and other difficult issues surrounding divorce. Keep watching Facebook, Twitter, and our Blog for updates! Why should you take the time to look at what Save Your Marriage in 30 Days has to offer? Good question! Janeen and Tia speak from experience. They are a mother and daughter who have been through divorces, marriages, step parents, happy times, sad times, downright horrible times... TOGETHER. They have had their relationship dwindle to next to nothing and come back with a vengeance, so now they are closer than ever and are able to openly talk about their experiences. They leave no rock unturned. Even though their journey may be somewhat different than yours, the fundamentals are the same. You are getting multiple perspectives from Janeen and Tia. Janeen has been through more than one divorce, lived a determined single-parent life, and made difficult family decisions. Tia has grown up with more than one step-parent, moved repeatedly, been lost emotionally, and has a committed first marriage she will fight for. Janeen and Tia have these things in common: they're ready to share, they want to help, and they're passionate about it. 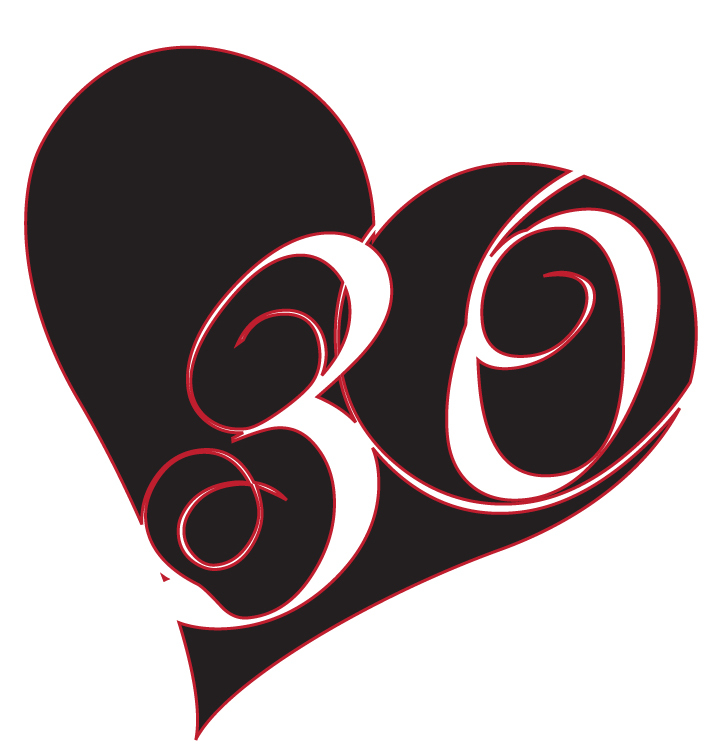 We are excited to announce Save Your Marriage in 30 Days is officially open for business! Make sure to visit the website www.saveyourmarriagein30.com to begin your FREE 30 Day Challenge. The purpose of this challenge is to give people who are considering divorce a chance to exhaust all option before committing to a decision. There are valuable, sometimes difficult tasks you will go through that will help you look at your marriage from every angle. We believe if our program helps even one marriage stay together, we have done our job. Stay tune for more exciting announcements as many ideas are already in the works! Please watch this video and then visit our website. It just must save your marriage. 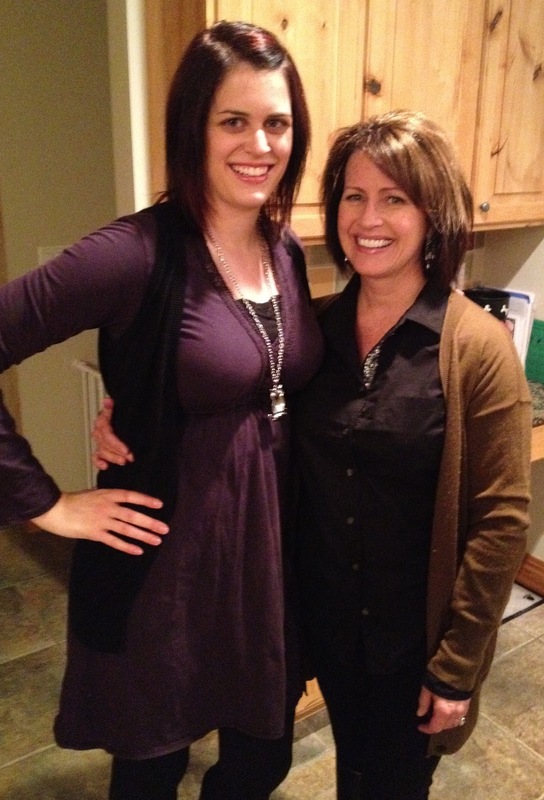 Tia left several years in retail management to pursue a degree in Behavioral Science at Utah Valley University. She is scheduled to graduate in Spring 2012. She married her husband Jake in July 2009. Jake is pursuing a degree in Nursing as well as his Paragliding Pilot's License. Tia has recently entered the world of fitness by becoming a Turbo Kick Instructor and is preparing to teach gym classes. She is also an Independent Beachbody Coach and enjoys motivating people to live healthier lifestyles. She is currently focusing on "Save Your Marriage in 30 Days" with her mother, Janeen Diamond. She is using her experiences as a child of divorce to help others understand the process from a child's point of view. She is also dedicated to helping other children of divorce understand they can break the cycle and enter loving, happy first marriages of their own. 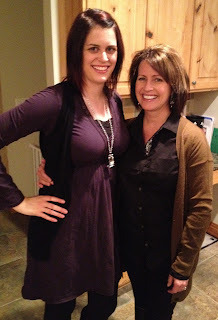 Janeen left KUTV News in 2001 after the birth of her daughter, Gabby. productions, and has been a spokesperson for several products and companies. Currently, she is co-creating “Teen Impact TV,” a website for high school students nationwide. married to Jake, and a stepson, Casey. Save Your Marriage in 30 by Janeen Diamond now available! Visit saveyourmarriagein30.com, amazon.com, or barnesandnoble.com to purchase!